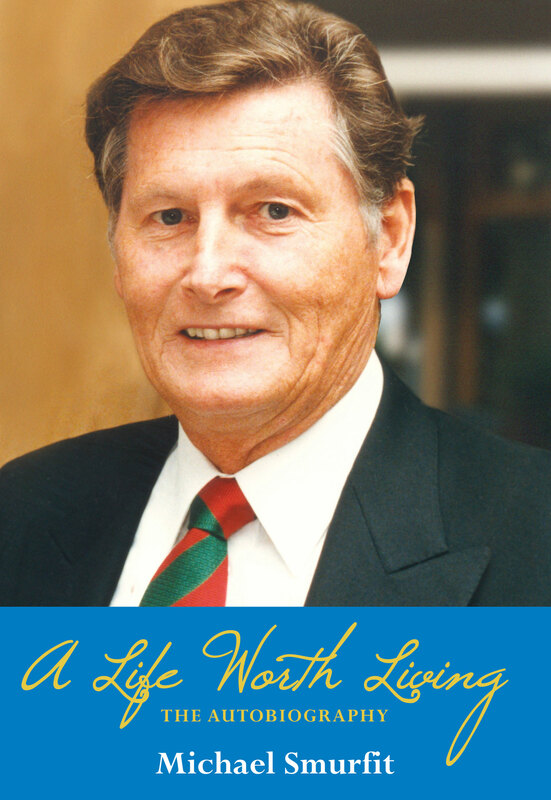 In A LIFE WORTH LIVING Michael Smurfit tells his own life story and that of the company he built. He documents the Smurfit Group’s seemingly inexorable growth from humble beginnings, the challenges faced and overcome, and the many deals that continually doubled the size of the business every three or four years. He shows his ‘logical opportunism’ in action, and explains how the Smurfit culture and systems provided a world-beating competitive advantage. Born in St Helens, Lancashire in August 1936, Michael Smurfit joined his father’s business, Jefferson Smurfit & Sons Ltd. in Dublin, straight from school to learn the papermaking business ‘from the bottom up’. Two years after the company floated on the Irish Stock Exchange, Michael and his brother Jeff became Joint Managing Directors, as Jefferson Senior took on the role of Chairman and Chief Executive. Then followed 30 years of acquisitions, as the Jefferson Smurfit Group became Ireland’s first multinational company and one of the largest paper and packaging companies in the world. On the way, he was recognised as Global CEO of the Year (1999), knighted by HM Queen Elizabeth II (2005) and awarded honours by France, Spain, Monaco and Colombia. In 2002, Michael took the Smurfit Group private, retiring as CEO but remaining Chairman. In this role, he steered a merger with Kappa Packaging BV, which successfully refloated in 2007 as Smurfit Kappa Group. Michael’s life outside Smurfit – his chairmanship of the Racing Board and of Telecom Éireann; his interest in horseracing; and his ownership of The K Club and the triumph that was the Ryder Cup 2006 – all feature, alongside his love and commitment to his family. Truly a life worth living. A LIFE WORTH LIVING is a page-turner … a fascinating story, just the present for one’s favourite entrepreneur. He is undoubtedly one of the greatest business leaders in Irish history, a superb deal-maker who has improved the lives of millions. … Smurfit provides chapter and verse on how he built up Ireland’s first-ever multinational corporation. … it should be required reading for any aspiring young business man or woman in Ireland. The book gives many insights into the growth of the Smurfit Group’s empire over the years, its roots, its key move into the US, where it was taken private, and the subsequent float as Smurfit Kappa. In the book, he shows his ‘logical opportunism’ in action and explains how the Smurfit culture and systems provided a world-beating competitive advantage. Was Michael Smurfit Ireland’s greatest businessman of the last century? There are certainly very few like him, or even close.